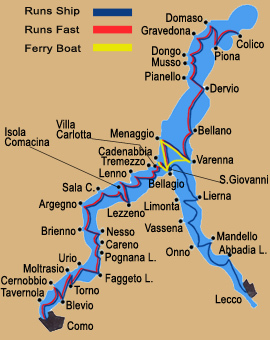 The fleet on Lake Como, is today made up of 1 vintage steamboat the Concordia; 10 motor-vessels, among which the Milano, Promessi Sposi series, Fiori and Volta series; 5 motorboats of the Uccelli series. 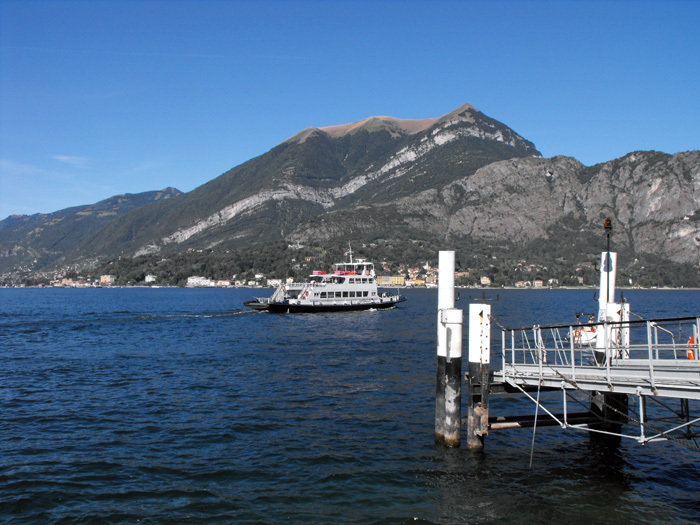 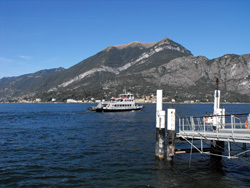 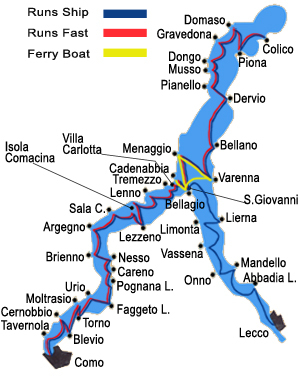 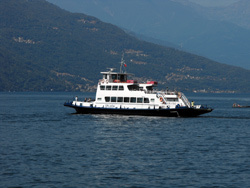 There are 6 ferries: the Plinio, Lario, Adda and the Stelvio series; 3 hydrofoils of the RHS150 series and the Freccia dei Gerani hydrofoil. The 3 new catamarans of the Città di Como series close the fleet. 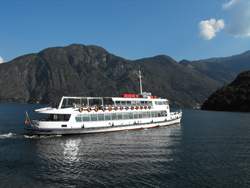 Various theme cruises are organized by the Lake Navigation Management, besides the normal lake navigation service. 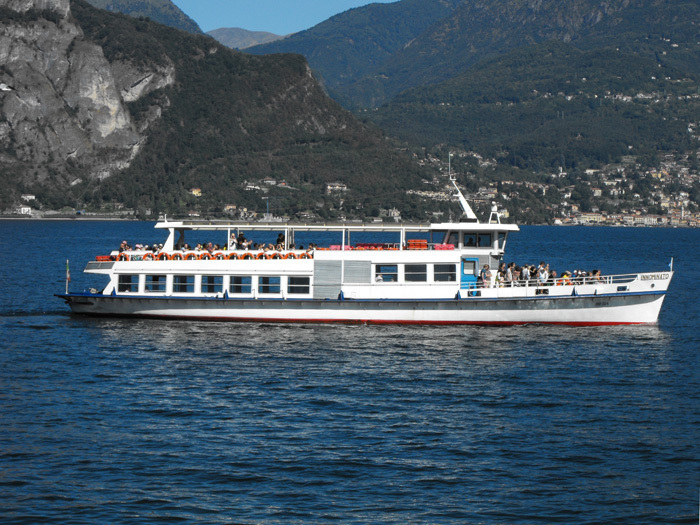 Cruise with the Concordia steamboat. During the months of July and August, it is possible to take a cruise on the Concordia with restaurant service, taking routes 20 and 45, you can dine in rooms elegantly furnished in liberty style, enjoying the freshness of the lake and the emotion of a unique and incomparable atmosphere. 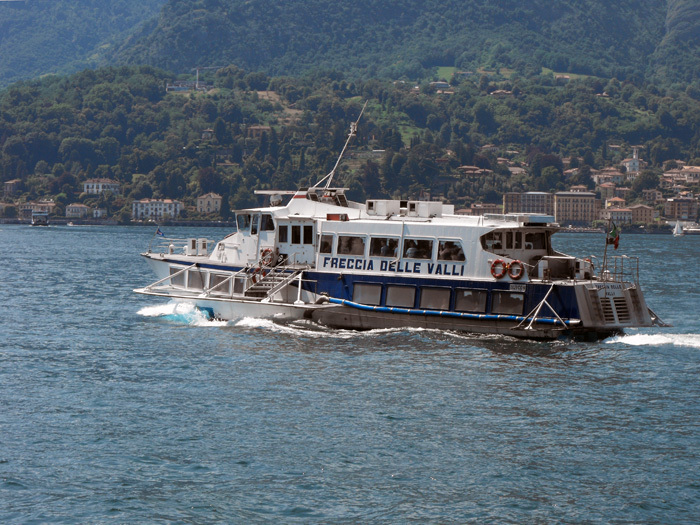 Departure from Como and Lecco. 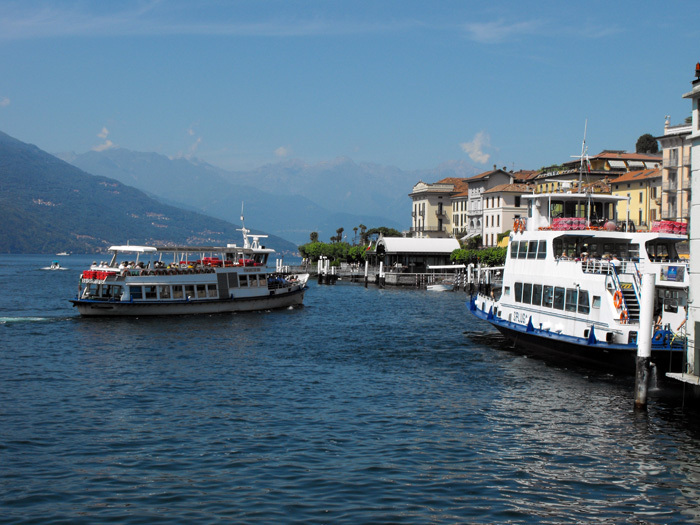 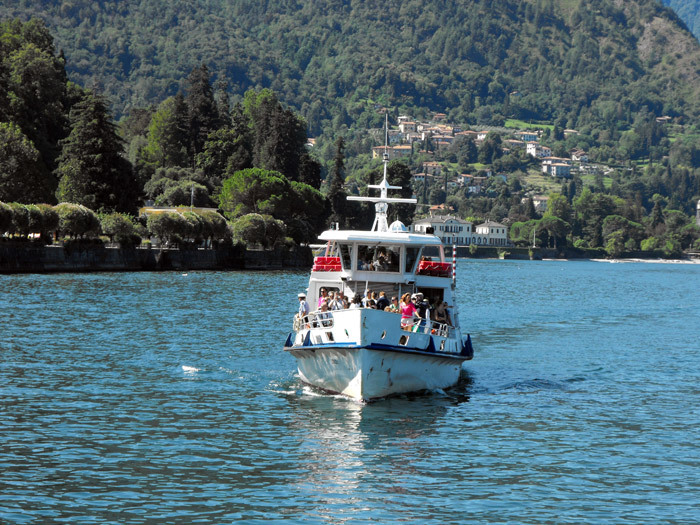 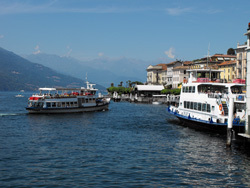 Cruises that reach Lake Como’s most charming town: Bellagio, you can have lunch on board, once arrived, there is much visiting to be done, Villa Serbelloni, Villa Melzi, Villa Trotti, the artisan stores on the stairways that divide the Village, but also walks immersed in the nature. 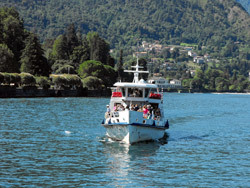 Classic cruise to Piona Abbey. 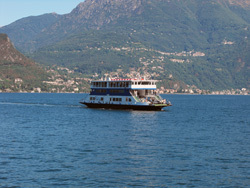 Departure from Como and Lecco. 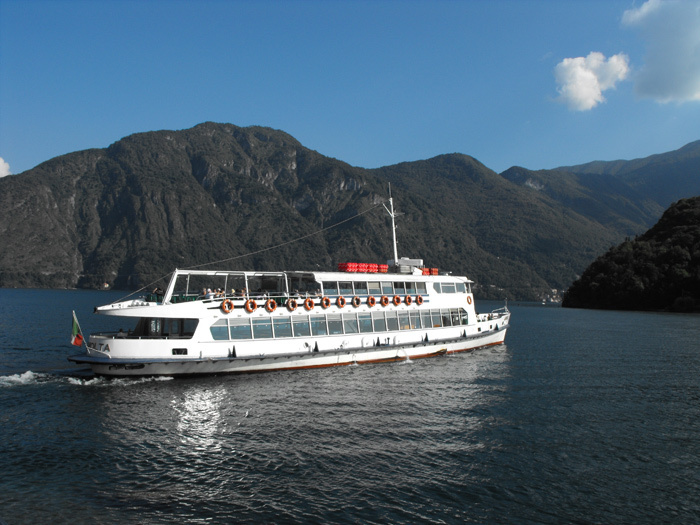 Day-cruises with the possibility of having lunch comfortably on-board, admiring with tranquillity the beauties that lake Como offers. 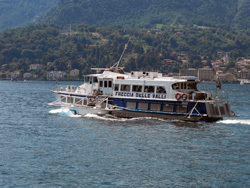 You can eat on-board also embarking at Bellagio; once in Piona you can visit the Abbey, walk among the splendid gardens, drink an excellent grappa, made by the laborious Monks who take care of and live in the Abbey.